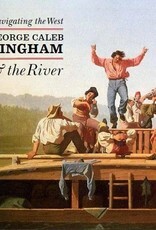 George Caleb Bingham (1811–1879) moved to Missouri as a child and began painting the scenes of Missouri life for which he is now famous in the 1840s. 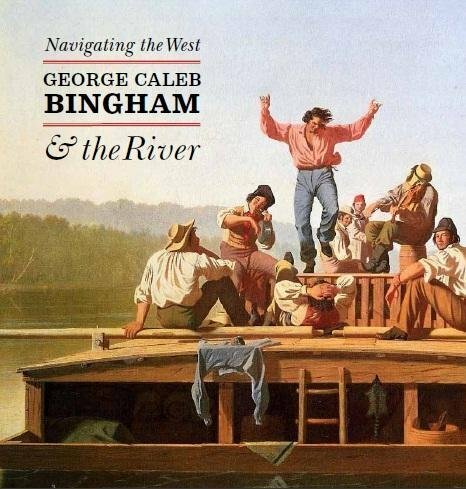 Navigating the West explores how Bingham’s iconic river paintings reveal the cultural and economic significance of the massive Mississippi and Missouri waterways to mid-19th-century society. Focusing on the artist’s working methods and preparatory drawings, the book also explores Bingham’s representations of people and places and situates these images in a dialogue with other contemporary depictions of the region. Of particular note are two landmark essays investigating Bingham’s creative process through comparisons of infrared images of 17 of his paintings with both his preparatory drawings and the completed works, casting new light on his previously understudied process. Technical analysis of the artist’s lauded masterpiece, Fur Traders Descending the Missouri, reveals Bingham’s considerable revisions to the painting. In the concluding essay, the 20th-century revival of the artist’s work is discussed within the context of American Regionalism and in light of a shifting sequence of narratives about the nation’s past and future.